Pop-up adventure Keeping up with the Jones' launched last night (7 July), devised by agency Meredith Collection and in association with Whirlpool and Bang & Olufsen. 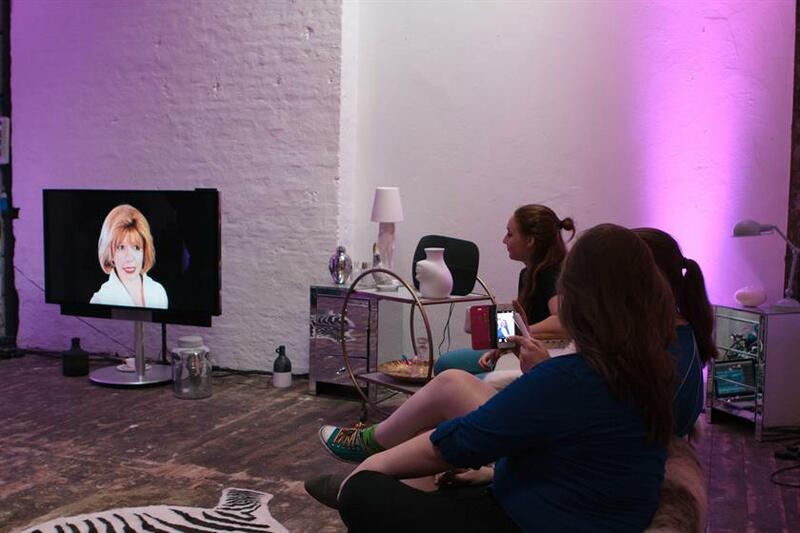 Taking place at 10 Clerkenwell Green for four nights, the pop-up takes small groups on a domestic-themed journey through eight rooms in Mrs Jones's ultramodern house. The experience begins in Mrs Jones's kitchen where she chats to guests on arrival about her life with Mr Jones and their two boys, while offering cocktails in detergent bottles and a choice of canapés. She also proudly shows off her stylish kitchen with its Whirlpool products. 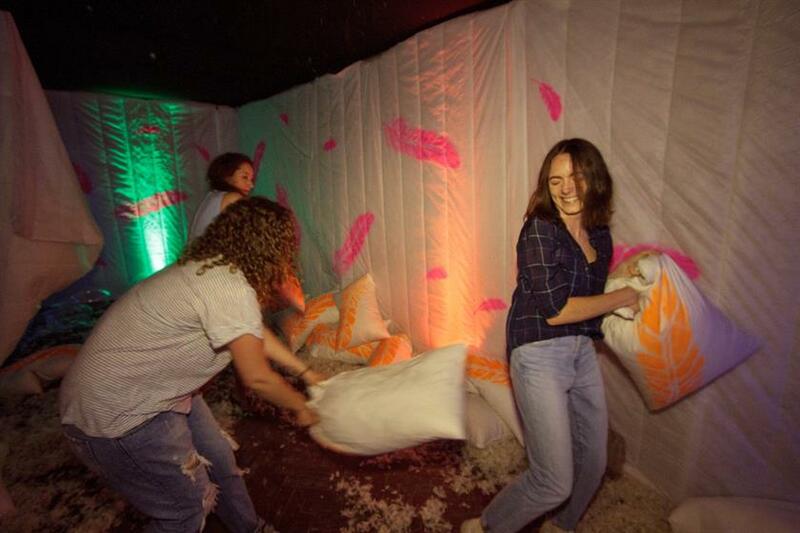 The experience continues through seven rooms in total, with guests trying gin toothpaste in the bathroom, macaroons designed as dishwasher tablets and gin and tonic marshmallows. 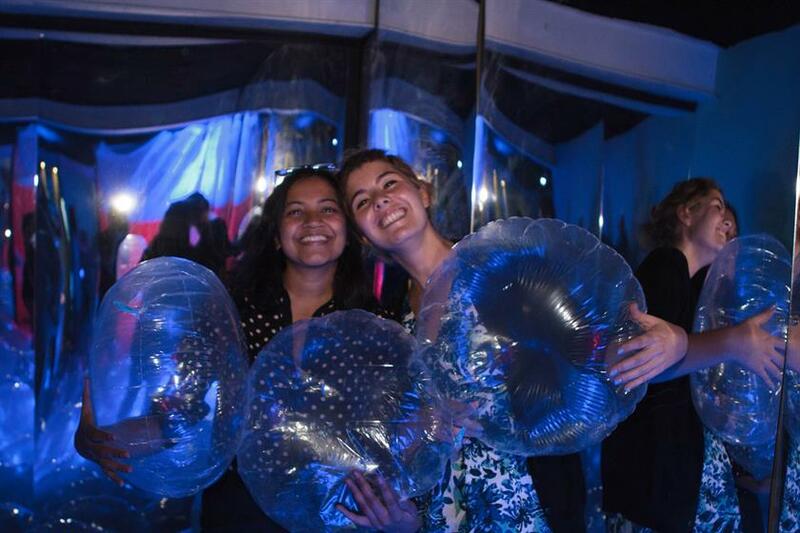 Guests are also encouraged to take part in a pillow fight in a feathered-covered bedroom and a bubble bath contest, which involves throwing transparent balloons or "bubbles" at each other. There is also a giant washing machine tunnel for visitors to walk through and a washing powder snow storm. In the living room, Mrs Jones shows off her Bang & Olufsen TV and speakers. The experience ends in a Zen garden with a bar where guests can enjoy cocktails, such as Mrs Jones's moonshine, which has been mixed in a Whirlpool washing machine. Picnic hampers and blankets are also available.